Hike up smoking volcanoes, climb granite peaks, trek past cascading emerald waterfalls or along forested trails. Be intrigued by the diversity of vegetation from million-year-old alerce trees, forests of monkey puzzle trees or the thick fairytale like vegetation of the temperate rain forests. Whatever your appetite for adventure, your budget or interests, the Chilean Lake District combined with Chiloe Island will keep you captivated with its stunning, diverse scenery, charming local residents and sheer contrast to Southern Patagonia. Multi-day hikes: either staying in a refuge hut, with a local family or camping, there are hikes ranging from 2 to 9 days, through lush temperate rainforests, past conical volcanoes or under the shadow of huge granite walls. Day hikes from a lodge base: if you’d prefer to hike by day with a day pack and return in the evening to a warm bed, hot shower and privacy, there are a number of options with different levels of comfort and service. Volcano hikes: as the name suggests, there is the opportunity to summit some of the 2,000 volcanoes that run down the length of Chile. For total immersion into the lush, green, wild beauty of the Chilean Lakes, take on a multi-day hike. There are a number of national parks and also private parks (which act similarly to national parks). The two main hut-to-hut hikes available are through two private parks: the Tagua Tagua Park and the Tantauco Park. 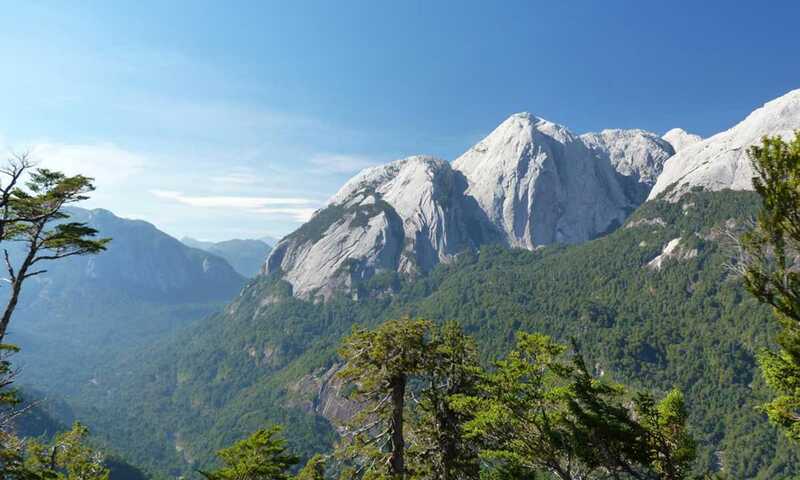 If you are a less experienced hiker, consider a 2-3 day hike in the Tagua Tagua Park, which can be sandwiched between a spot of comfort in a cosy lodge. For those looking for a real challenge, take on the tough 5 day expedition through the thick rainforest of the Tantauco Park. In both parks you can sleep overnight in unmanned, basic refuge huts. The Lake District also offers the opportunity to stay overnight with local families, as you pass through their farmland. The Vicente Perez Rosales National Park, famous for the emerald Petrohue Falls, has a lovely 3 day trek passing the needlepoint of the Puntiagudo Volcano, or you could hike into the granite walled Cochamo Valley - locally known as Chile’s Yosemite. For a longer, harder hike with overnight camping, take on the full Cochamo Circuit. If roughing it by night is simply not for you but getting out on the trails is, do not fear - there are a selection of cosy lodges that act as a great base from which to explore. These range from real luxury, with spa facilities and gourmet food, to more simple comfort, where you can have a hot shower and a roof over your head. As well as hiking, many lodges also offer the chance to kayak, horse ride and mountain bike. As well as the remote lodges, it is also worth considering the lovely lakeside towns of Pucon or Puerto Varas as a day hiking base. There are more than 2,000 volcanoes that run down the spine of Chile (not all of them active), and the Lake District has no shortage of these beautiful, conical, snow capped volcanoes to climb. 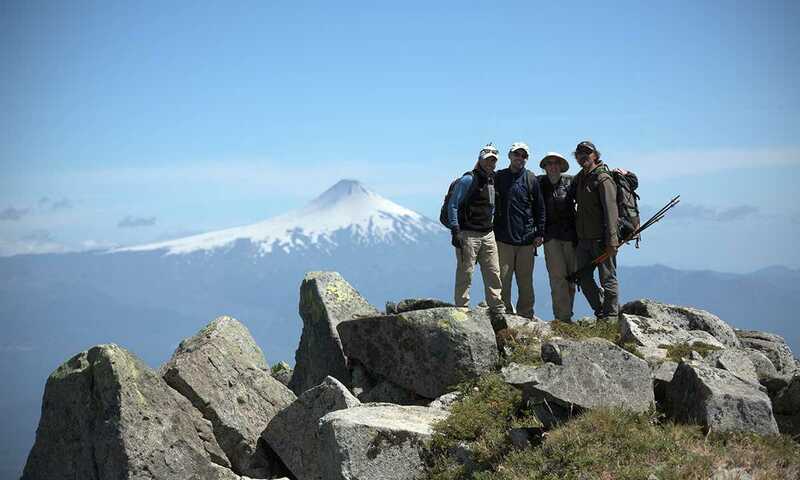 You can day hike to the summit of the smouldering Villarica or take on the more technical 2 day ascent of the Osorno Volcano. For the ultimate challenge, take on the Triple Volcano Quest, which reaches 3 summits in 5 days, with a rest day midway to laze in natural thermal pools. Whether it's from a remote lodge base or from the fun, picturesque lakeside towns of Pucon or Puerto Varas, it's possible to do day hikes and also to combine them with a range of day activities. The Chilean Lakes offer white water rafting, horse riding, hiking, kayaking and mountain biking. To really get under the skin of the Chilean Lake District, get out of town and spend a few days based deep in the forest, by a remote lake or with a local family. For me, the beauty of the Lake District is really in the minutae with its incredible wealth of plants and birds - from the delicate thumbnail sized transparent ferns to the vibrantly green, glistening hummingbirds, it really is a mesmerising, spell-binding place. How do I get there from Santiago? Santiago, the capital city of Chile, is where the domestic flights leave from to get you to the two gateway cities of Temuco and Puerto Montt. Temuco is a 1.5 hour drive from Pucon and is the access point for the Northern Lake District. Puerto Montt is a 30 minute drive from Puerto Varas to the north or a 1 hour drive to Chiloe in the south. Can I get there overland from Argentina? If you are in Buenos Aires, the capital city of Argentina, then you can make your way to Bariloche, the gateway to the Argentinian Lake District. There are some fabulous ways to cross the border into Chile either by lakes or overland; the easy and cheap way is the 6 hour bus between Bariloche and Puerto Varas; the longer, more expensive but arguably more stunning route is a 1 day lake crossing from Bariloche to Puerto Varas. I'm in Torres del Paine, how do I get there? If you are hoping to visit the Lake District before or after visiting Torres del Paine then there are daily flights between Puerto Montt and Punta Arenas, the gateway city for Torres del Paine. For the more adventurous there is also a 4 day ferry that travels through the fjords between both these cities. Explore the Chilean Lake District, from Pucon, Puerto Varas or Chiloe. From Budget Hotels to relaxation in idyllically located rustic lodges.